A personal note. 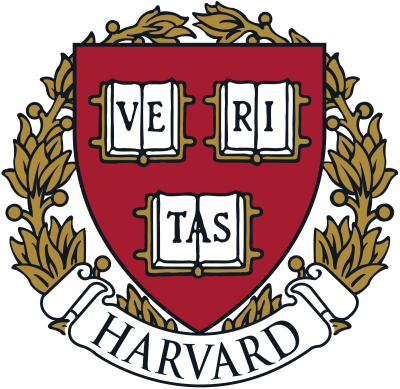 I attended Harvard College, receiving a BA degree in 1956. “Fair Harvard,” the university’s alma mater, lacks fairness. Its motto “VERITAS” on its seal and class rings belies its establishment and admissions practices. An ongoing November 2014 federal lawsuit filed by Students for Fair Admissions (SFFA) accused Harvard of “employing racially and ethnically discriminatory policies and procedures in administering the undergraduate admissions program” – Asian-American applicants harmed by the practice. A study covering 20 years of admissions showed Asian-American applicants scored much better than other racial groups on academic merit, worse on personal attributes evaluated. Since 2000, Asian-Americans had the lowest admission rate of any racial group despite higher test scores. The ongoing lawsuit accused university officials of attempting to suppress data revealing its discriminatory practices. In June 2013, the Supreme Court upheld race-conscious admissions at the University of Texas by a 4 -3 ruling. Majority Justices Roberts, Alito, Thomas and Kennedy held that the university’s admissions practice didn’t violate the Constitution’s equal protection guarantee. Justices Ginsburg, Breyer and Sotomayor disagreed. Elena Kagan recused herself for prior involvement in the case as US Solicitor General. Treating university applicants (or anyone else) differently based on race, ethnicity and/or religion is clearly discriminatory. Despite the High Court ruling, SFFA plaintiffs continue their pursuit of admissions fairness – despite little likely chance of prevailing following the Supreme Court’s ruling, setting a disturbing new millennium precedent. In the landmark 1954 Brown v. Board of Education unanimous ruling, the Supreme Court upheld the Equal Protection Clause of the 5th and 14th Amendment’s, affirming that no state shall deny to anyone under its jurisdiction “equal protection of the laws,” including the right to life, liberty and property – along with adherence to international, constitutional and US statute laws. Brown v. Board of Education is the basis of ruling racial segregation illegal, the same applying to other discriminatory practices based on race, ethnicity or religion. In Orwell’s novel “Animal Farm,” some animals were more equal than others – the way it is at Harvard, in America, other Western countries and most elsewhere. Discrimination is common practice in most societies, corporate enterprises, academia, and interpersonal relations overall. It violates the letter and spirit of human and civil rights laws – yet continues widespread anyway.